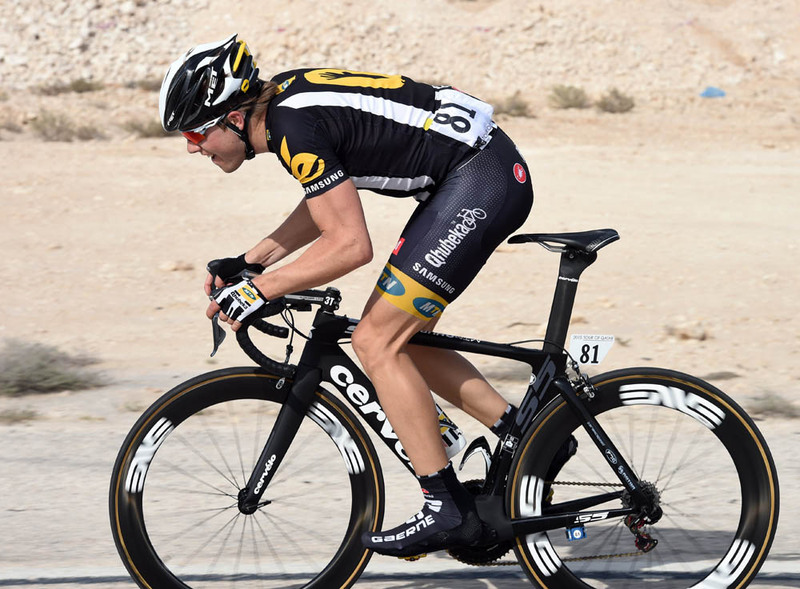 After five seasons at Team Sky, Edvald Boasson Hagen has now begun a new chapter at team MTN-Qhubeka. The Norwegian has changed his training regime as well as changing teams, and put on weight under the guidance of his former trainer as he aims for the 2015 Spring Classics. He began his season in Spain and raced the Tour of Qatar last week. He will continue racing in the Middle East, starting in the Tour of Oman on Tuesday. Boasson Hagen shot to the top immediately with team Columbia-HTC winning the 2009 Ghent-Wevelgem, a Giro d’Italia stage and the Eneco Tour. With Sky, he won two stages in the 2011 Tour de France – the team’s first in the race before Bradley Wiggins and Chris Froome came along to win the overall. During that peak, there was talk that Boasson Hagen could even develop into a Grand Tour rider. Soon, though, he won less and in last year did not enjoy a single victory. Boasson Hagen has now changed a few things, starting with his team. He signed for South Africa’s Professional Continental team, MTN-Qhubeka, which already received the green light to race the 2015 Tour de France. Next, he returned to former trainer and mentor, Norwegian Fredrik Mohn. Sky asked in 2012 that he only work with its coaching staff as it requested of its other cyclists. “After five years, it’s good to try something new, a new team. I was really happy where I was, but now it’s really nice with good team-mates and good staff,” he said. Mohn had his client lifting weights in the gym, spinning on his turbo trainer and skiing in the Norwegian countryside. He said that he is aiming at the classics and the Tour. MTN will be Africa’s first team in the French stage race and Boasson Hagen, as he did with Sky, wants to help the team to its first win.